It always delights us to give something that our users want. Nothing makes us happier than being a part of your success. This is the driving force behind all of our hard work. In everyday’s work, we consider your smiling face as the main motivation factor. Today, with WP Page Builder v1.0.2 we are giving you another bunch of reasons to smile. This update brings some important additions and enhancements that many of you have been waiting for. WP Page Builder comes with several exciting improvements and fixes. Let’s know the changes in more details. According to the most recent WordPress stats, around 11% of the WordPress powered websites use PHP v5.4. Although, the recommended PHP version for WordPress is 7.2 or greater, a large number of websites are still on older versions. From the beginning, WP Page Builder supported PHP 5.6 and greater. Upon user requests, we’ve added PHP 5.4 support to the page builder starting from v1.0.2. So you can use WP Page Builder on your PHP 5.4 powered WordPress sites without any issue. 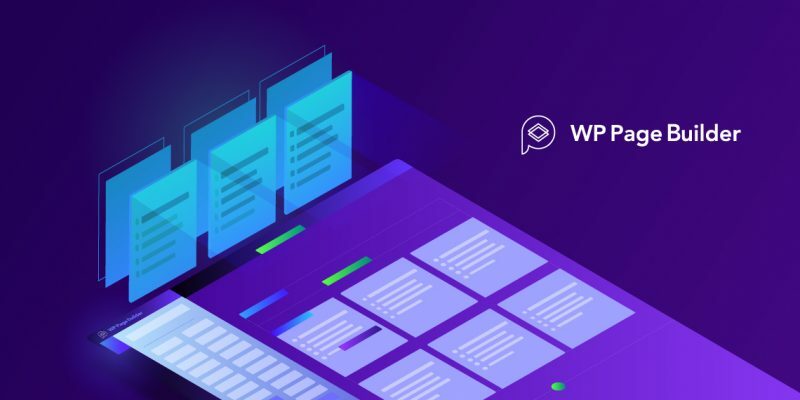 As a process of making WP Page Builder a universal tool, we wanted to make sure anyone regardless of language can use this plugin. With that in mind, we added language file to the WP Page Builder plugin. Now anyone can translate this plugin to his/her language and help their community use WP Page Builder. No doubt we had Google Fonts support from the beginning. With this update, users will have Google Fonts in an improved way. The fonts will be available on the frontend to be picked with their available font weights. You can set the appropriate font weight for any particular Google font. 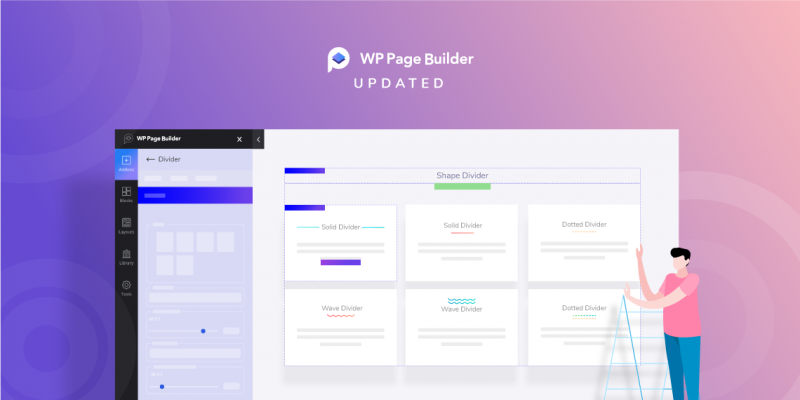 While using WP Page Builder with some other plugins, few of our users reported some plugin conflict issues (WP Mega Menu, Give, and other popular ones). We took care of the issues at our end, we have fixed all the known plugin conflict issues. So, you can use WP Page Builder with your any other plugin on your site without having any problem. We’ve tweaked some issues and optimized the code of the plugin. Now, WP Page Builder has 15% less code than the previous version. With this optimization, the builder is expected to become much faster than before. Apart from the above improvements, this update brings some fixes too. All the fixes and improvements are expected to ensure a far better performance. Let’s see the full changelog at a glance. Whenever we update any of our products, we try to fix all issues that we know of and bring features we think essential. In case of WP Page Builder, we made it sure as well. 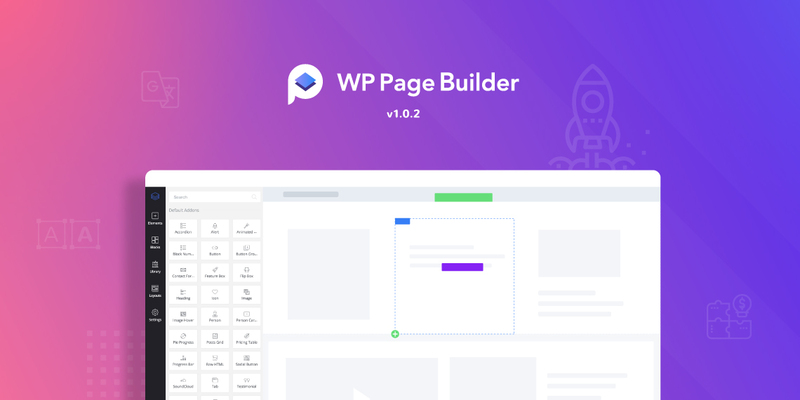 If you haven’t tried WP Page Builder yet, get it now. It’s free and always will be.